Shop Valley Goods – Open Today till 3! LAST CHANCE TO SHOP VALLEY GOODS! 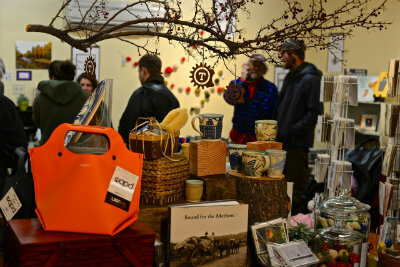 ‘Tis the season to shop local and Valley Goods features items from over 30 local artists, craftspeople and makers. If you’ve made a list, there’s no need to check it twice, you can find all your last minute gifts for family, friends and colleagues all in one place AND support your favorite local artists, crafts people and makers. Open every day through Christmas Eve!